After a couple of weather related delays, the timber for Windy Moor was helicoptered to the site. It was a delightfully sunny day with the wind hardly noticeable at ground level and this plus the ideal weight of each timber load, would have made the task easier. There was about 5-6 minutes between loads for the journey which is up to 3.8k to the far end of Windy Moor. You could hear the helicopter approaching before it appeared above the trees on the saddle before the moor. It then swung out on the north western side before turning in to the landing sites. 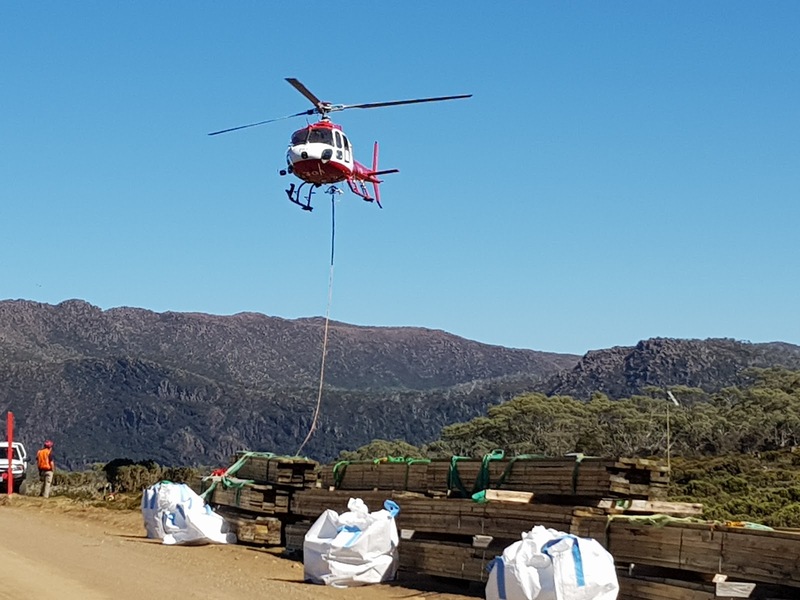 Three PWS staff, one local and the others from the fire crew were there to direct the helicopter in and once the timber was released by the pilot they swooped in to remove the ropes before moving on to the next landing spot. When walking past the bundles they ranged from just over 600kg to a shade of 700kg, with the average somewhere near 650kg. The first trip of the helicopter also brought in Snapper and Mark who are installing the timber by evening they had some of the planking down. Greg stayed the night to help but reported that at 2PM the next day the predicted rain started, and they had to pack up and quit until the weather improved. Unfortunately, they also found hard rocky ground at the start but hopefully that will change as the work moves out onto the wetter part of the moor. A photo album is online at this link or click the image below. 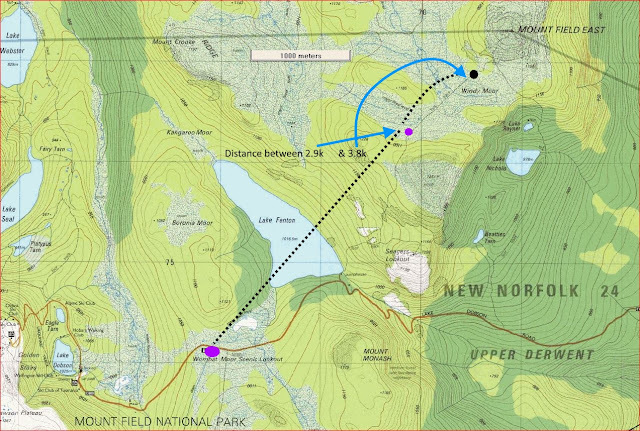 The location and flight path for Windy Moor.